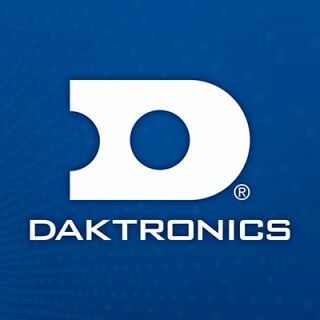 The University of Dayton will host several new displays manufactured and installed by Daktronics of Brookings, South Dakota. The Flyers will gain a new nine-display centerhung system, two ribbon displays, four basketball stanchion displays and five digital scorer’s tables. The centerhung will be comprised of four main displays, each with 6-millimeter line spacing and measuring 13.5 feet high by 20 feet wide. Four 6-millimeter displays fill in the corners between the main displays and a lower ring display will encircle the centerhung with 10-millimeter line spacing measuring 3 feet high by 75 feet wide. The main centerhung displays are capable of variable content zoning allowing them to show one large image or to be divided into multiple zones to show any combination of live video, instant replays, game statistics and information, graphics and animations, and sponsorship messages. The two ribbon displays along the seating fascia each feature 15-millimeter line spacing and measure 3 feet high by 100 feet wide. The four stanchion displays mounted to the basketball hoop’s support structure each measure 1 foot high and 3 feet wide with 6-millimeter line spacing. The five scorer’s tables can be arranged in any configuration with each display featuring 6-millimeter line spacing and measuring 2 feet high by 9 feet wide. The corner displays, ring display, ribbon displays and scorer’s tables will provide complementary statistics and information to the main displays while also providing the opportunity to highlight sponsors throughout events.